As of this writing, we’re only a matter of days away from the 2019 Royal Rumble PPV. And while the WWE rightly frame WrestleMania as the biggest show on the wrestling calendar, many a fan views the annual Royal Rumble PPV as their favourite of the year. Since its inception in 1988, the Royal Rumble has gone on to be a huge success, with so many memorable moments having been served up by the over-the-top extravaganza at the centre of this PPV; from huge wins, to shocking turns, to grin-inducing surprise returns. To many, the Rumble is the must-see wrestling event. To date, there have been a whopping 31 Royal Rumble PPVs so far, with the 2019 edition of the show looming large as the 32nd outing for the spectacle. Some Royal Rumble PPVs have been great, others have been awful, but the key component of the Royal Rumble PPV is so often the Royal Rumble match itself. You can make an argument as to why a certain Royal Rumble is the best Rumble in history – some citing 2001 as having the best Royal Rumble match as Steve Austin steamrollered to glory, some claiming The Undertaker eliminating Shawn Michaels to win the Royal Rumble match in 2007 as another “best ever” – but here we’re going to look at just why the 1992 Royal Rumble really is the greatest Royal Rumble match in history. To say that the current WWE product doesn’t have any decent commentators or announcers would be a little harsh, but listening back to some of the commentary teams of yesteryear makes you realise just how much better the commentary often was back then in comparison to today. Many will rave about Jim Ross and Jerry “The King” Lawler as being the greatest duo that the WWE has ever had at the announce booth, while others may hark back to Jesse “The Body” Ventura and Gorilla Monsoon. 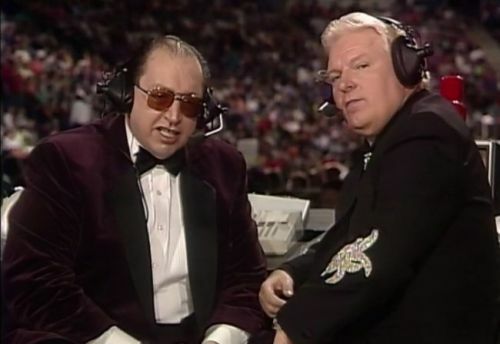 But for some of us, the absolute greatest commentary team in the history of World Wrestling Entertainment was the pairing of Bobby “The Brain” Heenan and Gorilla Monsoon. And if you’re for some reason in doubt as to just how good The Brain and Monsoon were together, all you need do is go back and watch the 1992 Royal Rumble. Bobby and Gorilla were always phenomenal when put together - the duo having the sort of natural chemistry that is impossible to manufacture - but the ’92 Rumble PPV was this pair at their absolute best. Heenan throws out zingers galore as he continuously champions Ric Flair throughout the Rumble match, while Monsoon does his best to be the well-meaning babyface play-by-play man to The Brain’s quick-witted, desperate heel act. Most important of all? 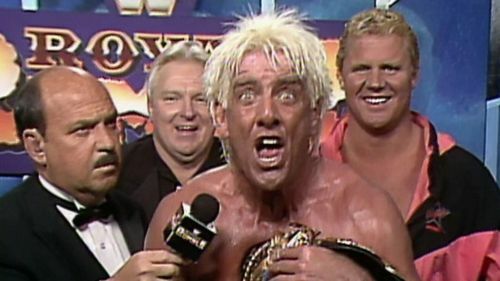 Heenan and Monsoon made you care and got you invested in the PPV and the Royal Rumble match itself; making each Rumble entrant feel like a big deal who could somehow manage to win the match and become WWF Champion.